PUNE (BHOPAL): With Assembly polls just a few months away, the Shivraj Singh Chouhan government in Madhya Pradesh has roped in a private talent management company to shore up job prospects and impart necessary skills to youths.The Opposition Congress has, however, dubbed the move as an "eyewash" aimed at "misleading" youths in the time of elections which are due by the year-end. Madhya Pradesh has created an average of 17,600 jobs every year in the past 13 years of the BJP rule (2004-2017), according to an official data presented in the Assembly during the budget session. Now, a private player has been entrusted with the task of scouting employment opportunities in the non-government sector and enhancing job-getting skills of the state's unemployed. Madhya Pradesh State Skill Development and Employment Generation Board chairman Hemant Vijayrao Deshmukh said, "In a bid to generate more jobs for youths, the state government has signed a memorandum of understanding (MoU) with Pune-based Yashasvi Academy for Talent Management Pvt Ltd.
"This company would turn the employment exchanges in 15 districts into placement centres under the public-private partnership (PPP) mode." The MoU will cover 15 districts - Bhopal, Indore, Jabalpur, Rewa, Gwalior, Sagar, Ujjain, Hoshangabad, Shahdol, Dhar, Khargone, Dewas, Singrauli, Satna and Katni. The Congress, however, said this step of the BJP government would benefit only the private company. Leader of Opposition in the Assembly Ajay Singh of the Congress said, "Why has the BJP government woke up after 14 years? It is just trying to mislead youths. In any case, the BJP is going to be defeated in the coming elections. "In the recent budget session, the government admitted that unemployment has gone up by 16.4 per cent." Singh said the BJP government has failed to deliver on the employment front. "Where are two crore jobs that the BJP had promised. 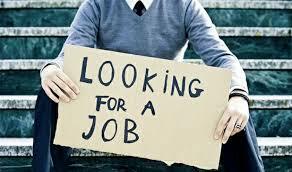 Youths are under depression due to lack of jobs." Deshmukh, however, believes the MoU with the Pune firm would definitely benefit the state's unemployed youths. He said, "We have set a target of facilitating jobs for one lakh youths. Apart from making job opportunities available in the private sector, the company would also impart skills in writing curriculum vitae (CV) besides working for personality development of unemployed youths." The agreement would boost the job sector as employment exchanges were fast losing their relevance, the board chairman said. Apart from preparing unemployed persons as per market demand, job fairs and career counselling sessions will be organised by the company, Deshmukh said. Jobs will be made available to applicants in their respective area of interest, he said. Deshmukh said Yashasvi Academy would manage the cost of running placement centres in coordination with companies which would provide jobs. The Berojgar Sena, an outfit of unemployed youths, however, is not enthused by the move. Instead of improving employment exchanges, the government has been making efforts to shut them down, it said. "According to private estimates, there are over 75 lakh unemployed youths in the state and through this PPP agreement, the government plans to provide jobs to one lakh youths. "So, it will take 75 years to provide jobs to the current number of the unemployed," said Sena convener Akshay Hunka. More than five lakh unemployed youths are getting added every year, he said. "This MoU was signed only to mislead youths ahead of the Assembly elections. The state government has completely failed on the employment front," Hunka maintained. The Economic Survey-2018, presented during the budget session, said the number of registered educated unemployed in MP stood at 11.24 lakh by 2016-end.